Being able to work from home has been such a blessing since I’ve been pregnant. I can take a break to nap if I’m not feeling well, make all my appointments without having to take off work and have time during the day to exercise. But it can also be dangerous! Case in point: afternoons when I just don’t feel like working and instead give into my cravings and bake something sweet. 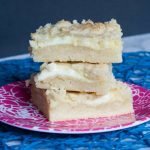 If you are big on foods with texture, you will love these cookies! 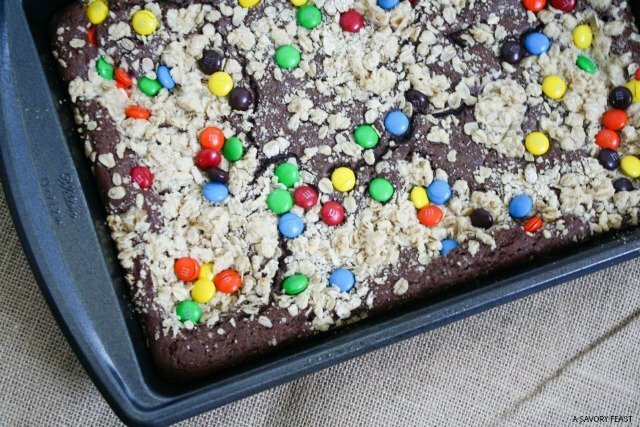 The cake-y bottom layer goes great with the crunchy oat crumble and delicious M&M’s. 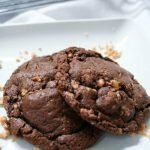 So if you are craving something sweet today, treat yourself to these yummy cookies! It’s the best way to get a little of everything in one delicious cookie. Preheat oven to 350 F. Grease a 9x13 inch pan. Mix the cake mix, water, oil and eggs in a medium bowl. Stir in 1/2 cup of M&M's. Spread the cake mix batter into the 9x13 inch pan. Set aside. In another medium bowl, combine the oats, flour, brown sugar and butter until crumbly. Sprinkle the oat mixture on top of the cake mix layer. 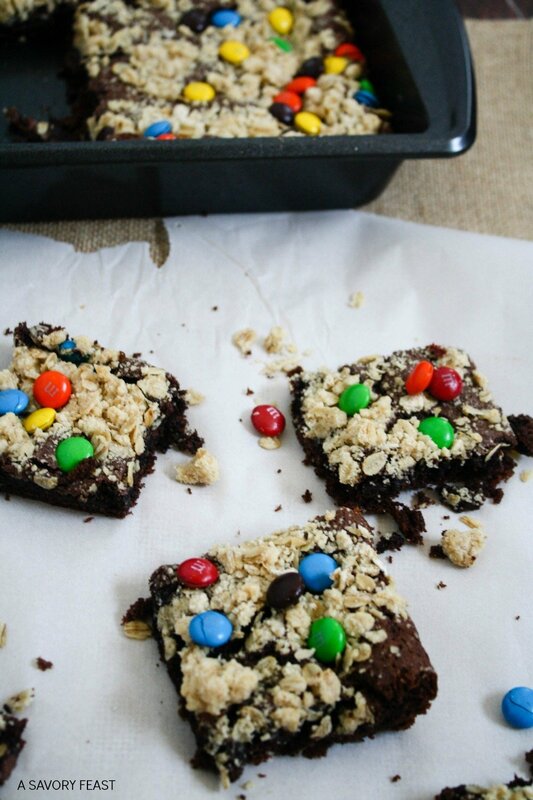 Sprinkle with the remaining M&M's and bake for 20-25 minutes. These look so good, Jenna. Pinning right now! Thanks, Lecy! 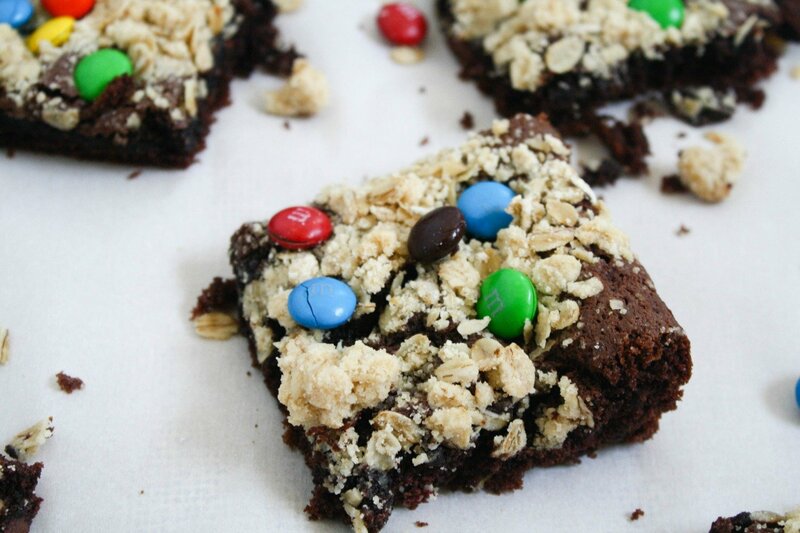 You should make these soon. They are delicious! It’s delicious! I hope you get a chance to try it. 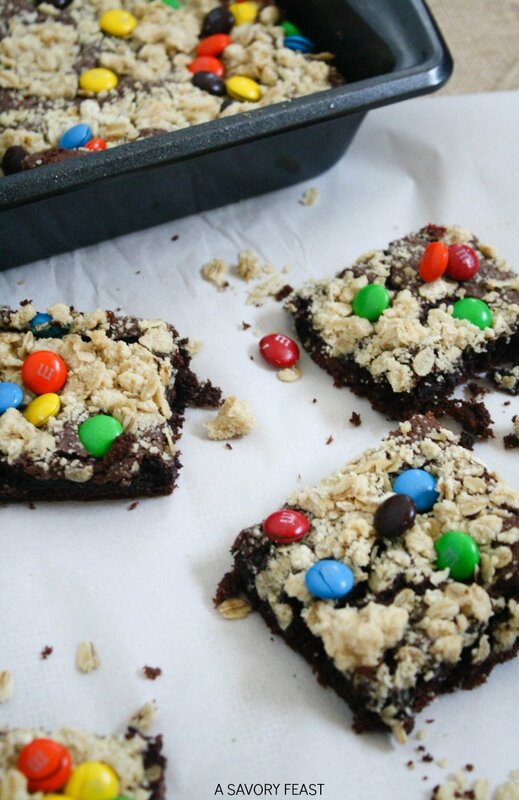 Jenna I love the idea of crumb mix on top of brownies!! It’s sooo good! I can’t believe I’ve never thought to try it before. I love M&M’s, too! 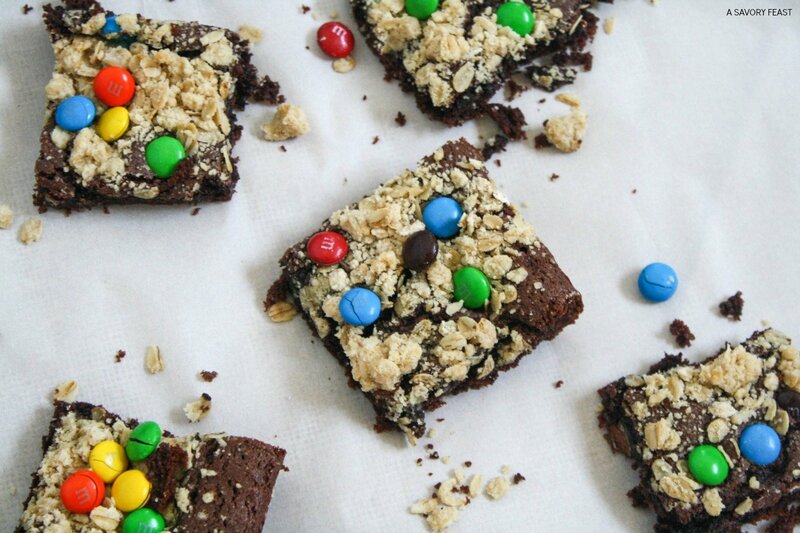 I’m sure this recipe would be delicious with peanut butter M&M’s. It would add an extra flavor and a nice crunch, too. This looks dangerously good! 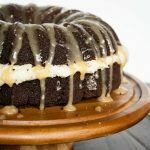 It’s easy to make and delicious 🙂 Pinning. Hope all is well! Some afternoons, I also don’t feel like working and end up baking…except I don’t even have pregnancy as an excuse! 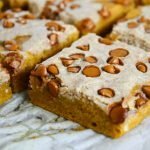 These bars look delicious! Hahaha it happens to the best of us! Thank you! I bet you will love them.